Businesses are getting digitally transformed and this demands a robust security system to secure the digital assets, sensitive business and client data from viruses, malware, data loss, and hackers. A network security system would establish a complete protection management platform for organization network, while an endpoint security system would be a good option for protecting individual devices. 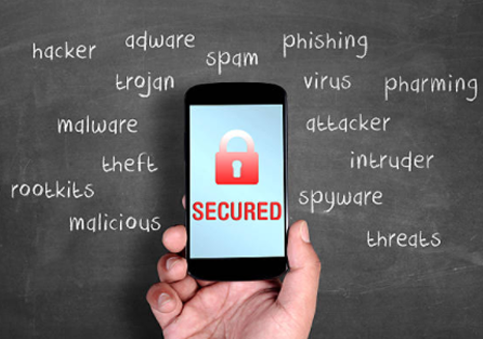 PCs, mobile phones, tablets or any device that include a system are related to as endpoints. These endpoints are deployed either to enhance the productivity or to increase the efficiency, may likewise be a fruitful source for dangers to enter and compromise the system and cause a data breach. All things considered, endpoint security administration may go about as another layer of guard that could authorize the protection given by the network security. Deploying endpoint security software particularly in a business set up is essential and important because it protects all the sensitive business and client-oriented information from hacker’s malicious attacks and prevents data loss and identity theft that may harm the entire system if not managed on the endpoint level. So by what means would endpoint security system be able to secure from malicious threats? Most endpoint security features an inbuilt antivirus software which identifies and removes the malware infections. It also includes an anti-spyware which shields from spyware that accumulates data without the users’ knowledge through an established internet connection. Most host-based firewall accompanies the device’s operation system, however, endpoint security software incorporates it in their key features for an upgraded security. Essentially, what sets a host-based firewall from a system firewall is that, while both are introduced in a solitary machine, a host-based firewall just concentrates on the outgoing and incoming aspects of one endpoint while a system firewall, utilizes just one system, battles against an entire corporate system and deals with the incoming and outgoing activities of each endpoint. Most of the host-based firewall comes with the operating system of some devices but endpoint security software also includes it in their key features for an enhanced protection. Basically, what sets a host-based firewall from a network firewall is that, while both are installed in a single machine, a host-based firewall only focuses on all the incoming and outgoing activities of one endpoint while a network firewall, using only a single machine, defends a whole corporate network and manages the incoming and outgoing network activities in each endpoint. Host intrusion prevention system or HIPS, may be considered to work in correspondence with firewalls. Its vital function is to manage and dissect the internals of a system and in addition, the system packets on the interface of the network in order to guarantee everything is on the right track inside a figuring gadget and nothing is being bargained inside which may give path for malicious interruptions. It might likewise be considered as a type of the second line of barrier beside a firewall since it unpredictably investigates from within to ensure that nothing noxious has stealthily moved beyond the firewalls and into the framework. Vulnerability assessment, a component that is to some degree like HIDS, fundamentally characterizes, recognizes, and categorizes security gaps in a PC or system. What separates it from HIDS is that it doesn’t just distinguish abnormalities, however, examines the benefits of a PC framework and organizes those features that need more support or protection. In addition to all the above-mentioned features, the endpoint security application also has application whitelisting which keeps unapproved programs from running on a PC. At the point when a user attempts a specific program installation, the whitelisting application examines the program if it is a genuine program and not a malware that masks as a genuine program. Application whitelisting likewise limits installing specific projects that may request excessive system assets from a device and consequently intrude on certain business-related tasks which should rather be organized. Endpoint security system assures that the information is protected from data breaches. Corresponding to such concerns, an element called Data Loss Prevention (DLP) keeps end-clients from exchanging crucial snippets of data outside the corporate system. A case of a DLP’s capacity is that it is not allowed to share of substantial records through an open cloud, email, or even through free document sharing sites. At the point when such exercises occur, a productively working DLP will end the procedure once it has been distinguished or will just not take into account the procedure to happen. A feature to control the system is vital as far as limiting file exchange and exfiltration procedures. Since this feature restricts end-clients in getting to or introducing certain gadgets might be restricted as a component of securing the information spared in a processing machine. The device itself may likewise be tweaked such that ports and centers are impaired where outer capacity drives might be associated for record exchanging. Storage encryption is additionally a creative and viable information protection mechanism wherein security is escalated on an information by utilizing encryptions and decodings. Other than endpoint security programming or projects, some IT supervisors additionally require other malware prevention procedures, for example, receiving system edge security, implementing complex password policies, compelling end-user instruction, data access logging, and solutions and preparedness for system recovery. All the above-mentioned features come with a single cost-effective package to protect enterprises from small to big from both known and unknown threats. Data is a vital business resource, like other significant business resources, that must be secured against any dangers. In a medium to big business networks, the administration of the data security is an absolute necessity. In private company systems, for the most part, the organizations, there is an absence of equipped security specialists that ought to deal with the data security. This mandates the use of security apparatus even for small organizations. In large business networks, they have numerous layers of security protection system including the endpoint security, the administration of data security and policies which must be upheld to all business unit groups. While small companies – for the most part, they don’t build up security management system. This is for the most part because of the absence of IT security expertise which does not understand that the business data must be ensured. Any layers of security that ought to be conveyed, relies upon how important your data resources are. In this manner, their main focus is to secure endpoint security. 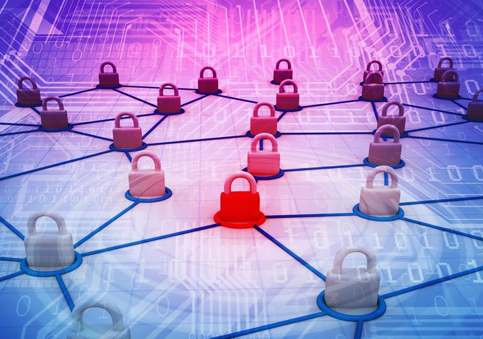 Hackers try and enter the private system network through any existing vulnerability they find. Considering the same, small business company are to secure the entry point with an efficient firewall mechanism. There are numerous security systems accessible in the market that you can consider to use for your association. A robust endpoint network security system would aid small business network with compelling integrated system security and reliable solution to protect the business networks from notorious threats. Web Filtering – Incorporate an extensive archive of categories and corresponding URLs. Generate customized website rules to permit or block access to URLs and websites with proper web access rules. VPN and access from remote – when there are employees of the organization who travel regarding work requires a secure business connection when connected to the corporate network through a public internet connection. Network Access Control – The LAN and WLAN users are provided a secure sign in by gaining physical access to the network. Integrate wireless access point to permit secure wireless network connection – this improves the speed and range of the networks of the wireless access point. Implementing a security system for a small business network is inevitable for small companies to ensure good performance on network protection against of Internet threats. Comodo Endpoint security system is a commendable security solution for small biz. Research experts have found that hackers find social engineering has the best source to out-beat the cybersecurity defences in 2015. In-spite of all the efforts and security measures taken by the organizations to anticipate social media attacks, – for instance, instructing employers not to click on suspicious email links and attachments and being careful about who includes them into the social media networks, social media specialists are indulging with progressively complex techniques to penetrate into the associations’ network. So by what means would businesses be able to guarantee that the employees know about the dangers and know how to manage them? Organization should start it’s ground work in getting prepared to out-power the threatening online attacks. It’s fundamental that all employees know about the dangers of social engineering. 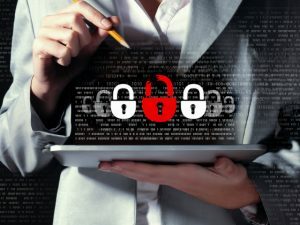 Even after throwing intense efforts in advising the employees to spot errors in emails and bizarre email domains to moderate the danger of phishing messages, employees will ideally be the weakest connection in the security chain. It is a critical aspect for the companies to implement the right technology to protect their credentials and sensitive data. It is also vital for the IT experts to be alert at a full swing and with complete visibility on the entire secure environment. This would alert the user when there exists any suspicious or unknown activities and prevent them from attacking the system instantly. A security mechanism well defined with multiple levels of security is considered to be the viable strategy pliable to mitigate the interference of security threats and breaches. Considering the social engineering attacks, organizations are still flexible and not prepared to encounter the attack mode. An excessive number of employees are given privilege to access corporate information that they basically needn’t really require. This implies once a window is opened through a precisely made phishing email, an entire corporate network can be compromised. Executing minimum benefit is the first and most basic step for any business security process. This guarantees employees to just access the data they have to play out their everyday parts, greatly decreasing the attack surface. Having a whitelisting framework set up to control which applications can be downloaded and installed is the subsequent stage. IT divisions additionally need to consistently fix and update the system to ensure that all possibly vulnerable devices are well-furnished to manage the most recent attacks. Having perceivability of the greater part of this and how extraordinary security innovations coordinate is basic. Embracing a layered approach will ensure to help devices battle against current dangers, including social engineering, and it doesn’t need to be difficult to execute. Once an organisation has the right establishments in place they would stop hackers as and when they are tracked more successfully. As these dangers turn out to be further developed, the probability of human disappointment would elevate. However, if you find a way to decrease the effect human disappointment (clicking on a connection, downloading a connection) at that point you will out-stand stand a vastly improved possibility of containing and relieving the risk. Comodo Endpoint Protection provides complete social threat endpoint protection by securing all the endpoints – desktops, smartphones, laptops, servers and other devices related to the internet of things. Endpoint security provides antimalware protection to protect the endpoints from malware interference. 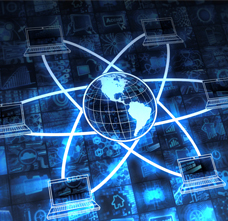 The security technology supports virtual desktops, mobile devices, laptops and workstations. The most common types of malware that affects the system are Trojan horses, spyware, rootkits, worms and viruses. 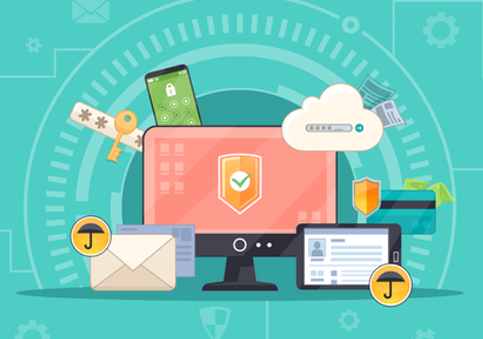 Endpoint antimalware protection system must have the capacity to defy malware attacks; secure clients when they are sending and receiving messages, surfing the web or connecting the devices to the web; and stop the multiplication of malware attacks that tried to succeed. To meet those objectives, the present endpoint antimalware protection suites give layered protection as an efficient antivirus usefulness – with the capacity to shield against new or generally known/unknown dangers, or zero-day dangers –, for example, antispyware, email security, firewalls, prevention of data loss, notifications when user enters a creepy website that could be potential of causing dangers and substantially more. The magnificence of such antimalware suites is that its a completed security package with different functionalities introducing a strong prevention mechanism between internal and external malicious activities. This type of protection system exploits diverse techniques to stop malware, so an intentional malware attack or interruption is probably not going to succeed essentially by advancing through protection layers. In addition, a suite is less complex for IT than to oversee a group of various applications from various merchants. Antivirus: Malware authors are much sophisticated to develop malware that can escape detection. Antimalware works best with a perfect combination of signature-based scanning with heuristics techniques and cloud-based global threat efficiency to identify and pull out malware from the infected system. It works effective to fight against the most toughest zero day threats. Antispyware: Antispware is installed to run in the background of the system constantly to block any potential spyware installation. Data loss prevention (DLP): The DLP plans to ensure protection of information that leaves the security of the corporate network internally, regardless of whether it’s by means of email messages, USB drives, on a workstation or cell phone, or transferred to the cloud. Firewall: Every system has a default firewall protection, however a secondary firewall on the endpoint is essential to give another layer of protection against malware. Device control: Malware can cause PC infection that isn’t associated with a system network or the internet. Associating a USB device to a PC or when a software is installed through a DVD or CD enhances the chances of potential risks of inserting a malware application to the target system or network. Devices control empowers IT to confine user access by setting and implementing device access rules. Email Protection: This segment of antimalware suites helps to sift through phishing messages, spam and different messages that could convey malicious content. Website browsing security: Most antimalware security suites counsel some sort of appraisals for the database to demonstrate whether a site is protected to browse. With this protection set up, sites marked as dangerous won’t be opened. Users would get a caution message if they enter a malicious website. Comodo, IT security firm provides new understanding and outlook on the current state of endpoint security. It came up with the report with a title “Endpoint Protection for 2017 and 2018 – Redefined” It states that the revised Endpoint Protection Platform delivers an efficient and robust analysis of the current challenges that any endpoint security vendors face today. The report additionally gives new and profitable proposals to security and risk management manager pioneers as they assess their choices. Vendors have constrained their ability to change quickly and easily by including new features year after year that are not any more successful against present day malware threats, for example, current day ransomware attacks. A similar legacy sellers harboured their clients to expensive on-premises, hardware based arrangements that are not considered important with the present day advancement in cloud computing and SaaS models. Endpoint detection and Response (EDR) and security solutions were observed as discrete items. Progressions in security advancements, for example, machine learning and behavioural examination have decreased the requirement for legacy security features like antivirus signatures. Various new merchants have entered the market with “point” arrangements that comprehend a restricted bit of the issue however don’t meet the more extensive criteria of a full endpoint protection system. Consolidating administrations, similar to threat chasing, with innovation arrangements which has demonstrated compelling solutions in guarding against complex assaults that are winding up progressively common. Conventional features have been dropped: DLP, MDM and particular security for servers were removed from the EPP definition. EDR is presently part of the suite: Comodo reasoned that EDR has seen expanded selection because of the acknowledgement that it’s unrealistic to completely obstruct 100% of malware attacks. Comodo is presently making the combination of behavioural and machine learning procedures for counteractive action, detection and reaction, as a vital approach. More value on managed searches: Companies are to include managed searches whenever possible. This can expand internal security methods, paying little respect to a company’s size, complexity or staff assets. Less value on versatile and Virtual Desktop Infrastructure (VDI): The clients search for solutions intended to protect both MacOS and Windows. They do not consider VDI, servers and mobile anymore, as a key buying criteria for EPP. Moving to the cloud is urgent: This refers to various efficiencies around both risk viability and regulatory overhead that can be accomplished by opting EPP sellers that offer cloud-based platforms. The Endpoint Security System form Comodo functions based on the client-server model. A security software is present within the network on centrally controlled server. The client server is located on each endpoint. The security software authorizes the user login attempts that done from the endpoints. An endpoint in computing refers to those ‘areas’ within a network using which hackers can intrude or hack into it and carry out illegal activities like stealing sensitive information or end up compromising the network’s security. Therefore endpoints can also be considered as vulnerable points within a network which has to be strengthened in order to keep the network safe from various security threats which today’s prevailing cybersecurity landscape throws up. What Is An Endpoint Device? Endpoints are basically devices outside of the network (mobile devices) like laptops, tablets, smartphones, desktops which have been provided with the privilege to connect to the network. With the proliferation of workforces willing to work off-premise and on-the-go, the number of endpoints has increased tremendously. And with the increase in the number of endpoints, the chances of cyber attacks too has seen a sharp increase. Technically speaking, endpoints are where hackers (or attackers) execute code and exploiting vulnerabilities in order to gain access to the network. Web service endpoint is the endpoint in which a web service is located which will be accessed by millions of endpoints across the globe. This decides the point of contact for a web service by providing the physical location of the service, or what computer the request is coming from. Simply put, just like an enterprise network has endpoints, in the same way, web services or applications hosted online too have endpoints and these are known as web service endpoints. Although there exists a confusion as to whether endpoint protection and endpoint security mean the same thing or not, the truth is they do. Be it endpoint protection or endpoint security, they both refer to the same security tools that protect networks against various security threats. How Do Endpoint Security Tools Offer Protection? Endpoint security tools is usually a group of several security tools like antivirus, antimalware, antispam etc., all grouped into one solution for protecting the entire network against various security attacks. They operate on a client-server model in which the security program is hosted on a central administrative server and client programs on the endpoints. Whenever clients (endpoints) attempt to login to the network, the server program allows them to do so only after validating their credentials and scanning the device to make sure they comply with the network security policy. In other words, only after ensuring the device “is the part of the network”. 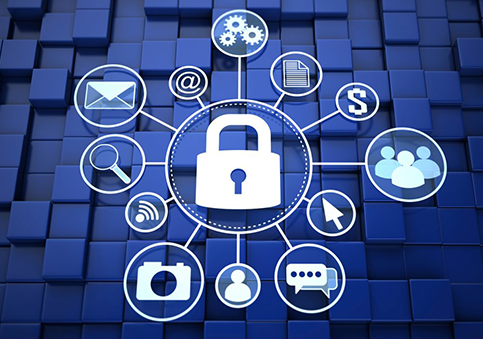 The IT security market contains several endpoint protection or security tools. Selecting one among them is not easy as most of them contain reasonable features and are available at an affordable price. Therefore we try to make this task easier for you by providing a list of top 5 endpoint protection tools for your devices. 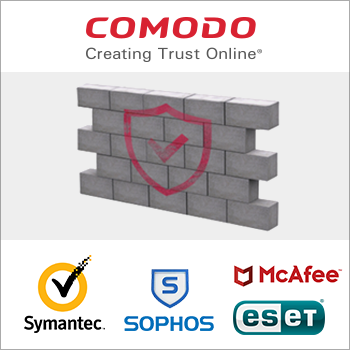 Comodo AEP tops the list easily with its impressive security features. And also because it’s reasonably priced. This security product is extremely efficient in combating external as well as internal security threats successfully. Therefore using Comodo AEP enterprises can keep all kinds of malware and security threats at bay. Default Deny Platform: the default deny approach, a technology which is unique to Comodo, ensures all applications (be it good or bad) are denied entry by default until they prove themselves to be harmless. An extremely efficient way of tackling cyber security threats in the age of zero-day malware. Containerization Technology: for restraining or restricting unknown files within containers and releasing them into the devices only after these files prove themselves to be harmless. The technology which powers the Default Deny Platform approach. VirusScope Behavior Analysis: another technology which is unique to Comodo for performing local-workstation analysis performed based on the Indicators of Compromise (IOC) collected based on previous malware exploits. VirusScope makes use of techniques like API hooking, DLL injection prevention and much more. Valkyrie Cloud-based Static & Dynamic Analysis: cloud-based malware analysis service for providing quick malware verdicts, often within 45 seconds. Reduces false positives and ensures enterprise productivity is not affected. URL Filtering: a technique which keeps enterprises away from malicious websites and web applications by performing efficient URL filtering. Device Control Related Features: granular device control features like easy device profile creation, over-the-air enrollment, remote data wipe, find my device and other anti-theft features, along with easy to implement yet secure mobile device security policies. 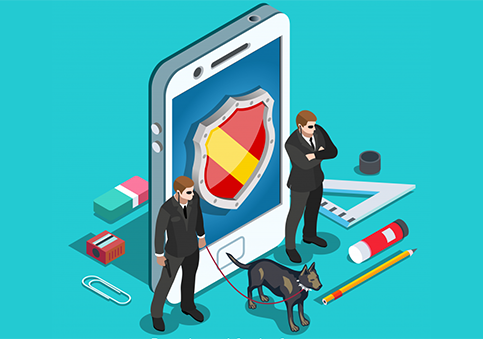 Application Security-Related Features: granular application control features like application inventorying, blacklisting applications, whitelisting applications, BYOD protection and more such security features. Remote Monitoring and Management: for ensuring remote device takeover and applying timely security patches over the network. This endpoint protection tool which is also moderately priced is packaged with the goal of making security administration easier for small to midsize businesses (SMBs). The security company claims to offer superior protection It comes with an extremely user-friendly interface. Easy-to-Use User Interface: which simplifies the complex technology behind endpoint protection and helps enterprises protect their networks easily without any fuss. The fact that it’s basically a bare-bones solution using which enterprises can offer only minimal protection. Certainly not suitable for tackling the zero-day malware. Certainly good for small to midsize businesses but does not have much on offer which can leave its users wanting for more. This security tool is a combination of anti-malware, web and application control, device control and much more, designed to support businesses of all sizes – both big and small. Sophos has also introduced Intercept X which is a cloud-based endpoint protection service that enhances endpoint security already running in your environment. Fully Functional 30-Day Free Trial: including all the features need for enterprise management, which is not that easily available with other security products. Per User License: with a price ranging between $30 to $60 range, making it quite expensive. Not bad. But definitely not the best in the IT security industry, as users often report about having second thoughts on the product’s ability. Another security tool worth mentioning. Protects your endpoints using tools like antivirus and antispyware, advanced memory scanners etc. Comes with built-in data access control features as well. Above all, it easy to use. Offers reliable technical support backup and is cheaply priced. Does not offer enough security to networks. Leaves much to be desired. Useful for frugal-type enterprises. But then, good security comes with a price tag, doesn’t it? a few months ago, Symantec was in the new for all the wrong reasons with regards to its SSL business. But its security products still command much respect in the industry. Easy to use, good security at an affordable price, it’s the last in this list. Highly customizable, extremely flexible, cheaply priced. Only minimal protection on offer. Could improve its security. Why an IT mindset is risky when applied to endpoint security? Most security groups work under the conviction that rapid remediation an episode levels with compelling reaction. All things considered, in IT divisions, where data security has its underlying foundations and where numerous security specialists have gained immense technical knowledge, this is the means by which achievement is estimated: the quicker innovation issues are settled, the sooner individuals can come back to work. In principle, shorter the time taken to remediate the issues the better the IT endpoint security. In reality, being too quick to remediate would result to hurried choices and can really make a company less protected since this approach doesn’t factor in the minds of the hackers. At the point when an IT division researches a specialized issue, the initial suspicion would relate that a mishap is behind such an episode. For example, the IT department may cause failed logged in attempts for multiple time to corporate email account by forgetting the password. But this would be related to a brute-force attack for someone who is into information security. Hackers realize that security experts need to solve such accidental episodes much faster than it could be expected and considering the same they try and plan an attack by including fake operations that can divert the target victim through genuine looking mails and campaigns. Numerous hacking operations have committed groups devoted to create and execute the fake attack. So while the security group is reimaging hacked systems and trying to comprehend the potential accomplishment of quickly ceasing an assault, a bigger, all the more harming operation proceeds on their organization’s system which is unseen to them. This describes why a few companies appear to be in the news on security breaches. As every drop forms an ocean, in reality, every individual small hack that goes unrepaired could lead to such massive security breaches. A best way to deal with taking care of occurrences is to allow the malware action to run its course for a little while and contrast its exercises with typical system conduct. Obviously, this viewpoint conflicts with how security circumstances are regularly dealt with. Be that as it may, this technique will bring up strange system action and possibly extra segments of the assault. For instance, obscure malware that is contaminated another piece of the system could be found or correspondence to an obscure server. Hacking is a business, that is organized with spending plans and administration structures. Your enemies have the capital and work force to frame out an attack plan that incorporates strategies to outplay the security force of the target organization. Give it some time to look into the reasons behind the attack and security loop holes and inquire as to whether there’s something more prominent going on that is not clear to see. IT endpoint protection system should embrace an antagonistic outlook and inquire as to for what reason would the foe utilize certain strategies. This will uncover the assailant’s definitive attack thought process.